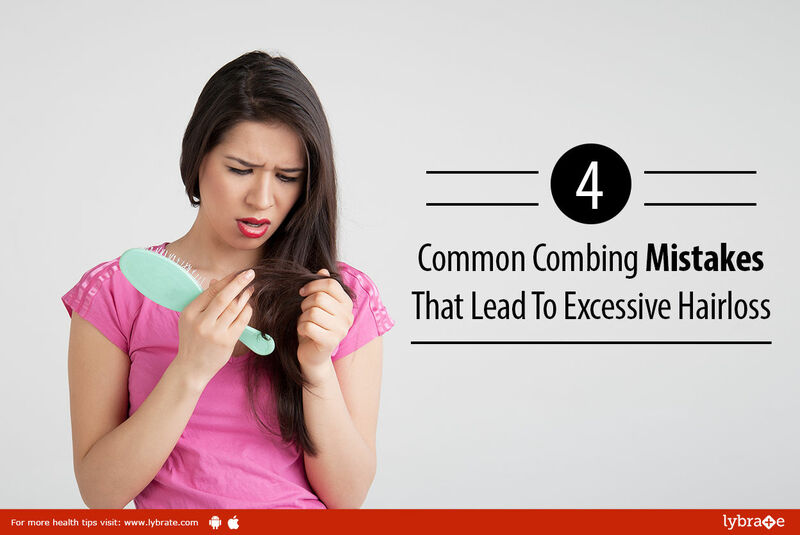 You will be surprised to know that about 35 million men and 21 million women suffer from excessive hairfall in India. Excessive hair fall can be the result of certain illnesses, hormonal changes, over-use of hair products that contain chemicals or a poor diet. What you may not have considered is that you can also lose a lot of hair by combing it the wrong way. Check if you’re making these common combing mistakes. If you’re combing your hair you should always start from the middle while working it downwards. Move the comb upwards (near the roots) only when there are no more tangles remaining in the bottom half. If you start combing from your roots, you may have to fight more tangles on the way to the bottom. This induces strain on your scalp, and increases hair breakage. The end result is weak hair and roots, and more hair fall. 2. Are you combing post the application of a hair product? A comb should never be used just after the application of a hair paste, serum or cream for treatment or styling. You must use only your fingers to comb through your hair once you’ve applied a styling product. If you use a comb post-application of a styling product, it not only loses its effect, but may also harm your hair and its texture.Consequently, it may lead to increased breakage and hair loss over time. 3. Are you detangling your hair after shampooing or washing? Hair is known to be at its weakest when wet, which can also make it prone to tangling. Combing and excessive pulling of tangled, wet hair increases your chances of hair breakage and eventual hair loss. To avert water-induced frowns, you can try giving a comb-through before wetting your hair in the shower. Alternatively, you can also try combing your hair during a shower. Apply the conditioner first; next, untangle the strands by using only your fingers, and then use a wide-toothed comb just before washing. 4. Are you regularly back-combing your hair? Sometimes people back-comb their hair from the roots working towards the ends. This hair teasing technique adds volume and texture to your hair. Although it’s a great trick, its regular use may damage your hair cuticles, which as a result, may also ruin your hair’s quality, lead to frizzy hair and increase breakage and hair loss. To get the element of volume without the damage, you can try light hair sprays, which help you in getting a similar look.